During our listening sessions, the SCM19 replaced the usual reference loudspeaker (ATC SCM50 PSL) while the rest of the system remained unchanged and included the Teac Esoteric P70/D70 CD transport/DAC pair, the Melos Plus Series Line tube preamplifier, and the Parasound HCA3500 power amp. Initial setup for the loudspeaker will not cause any particular difficulty, provided that a pair of stands with the correct height is available, to raise the "19" to its appropriate position. 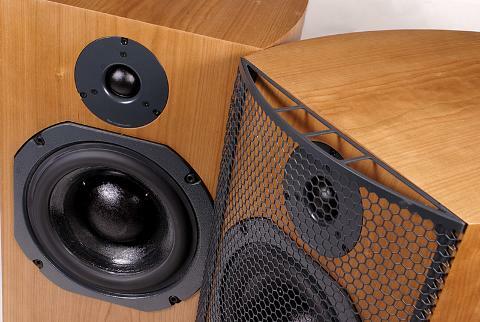 The closed-box cabinet allows placements somewhat closer to the room boundaries and, for the reasons explained in the measurements page, the correct amount of toe-in, (i.e, a slight turn of each loudspeaker, inwards, to face the listener) is needed. The first impression one gets from listening to the SCM19 is -quite surprisingly- its good behavior at low frequencies. I write "surprisingly" because -to be honest- from a small volume, closed-box loudspeaker, the best one could expect is the good management of a somewhat elevated low cutoff frequency (here, in the 40-50Hz range). However, subjectively, the loudspeaker offered a considerable potential for detail description and a very good behavior in dynamics towards the lower part of the spectrum, at least with most of our listening material. These sonic attributes were complemented by an extremely attractive and detailed soundstage and a well-balanced transparent mid-frequency region. Summing it up, the first impression clearly offers an answer to a question most of those who read this text are already asking and it is "yes, SCM19 focus on accuracy rather on an inspiring view of a recording", which is something quite expected, given the history of this particular company. To the details now, the very good first impression about the loudspeaker behavior in the lower part of the spectrum, did not change over time, but certainly, it was enriched by more findings. That being said, it is clear that even ATC cannot "pull rabbits out of hats" in audio, hence the SCM19 has some limitations regarding bass description and extension in comparison to the reference loudspeaker (which is not only larger in volume and features a bass reflex loading architecture but, also, belongs to a completely different price range). However, what remains out from the full low-frequency narrative, is only a small fraction of the information in a quite small number of recordings which include some extreme acoustic and electronic instruments. This, to my opinion, is hedged by the very clean, fast and highly descriptive performance of the rest of the low-frequency band, offering a good feeling of size-scale and comfort, and very good dynamic characteristics. Probably, this sound character is due to the lower distortion offered by the mid/woofer drivers -as ATC claims- or due to the sealed-box loading, or due to both, it is hard to elaborate here. Nevertheless, the SCM19 demonstrated an easiness in mid- and higher bass range reproduction. This is reflected both in the proper way the relevant instruments were presented and the very good rhythm section rendering, with good speed characteristics, the feeling of flow and fullness, and the absence of strong excessiveness or coloration phenomena. To all these, one should add the loudspeaker's excellent behavior when performing at high levels, a property that makes the SCM19 the best small loudspeaker in macrodynamics that we have listened to for some time now. 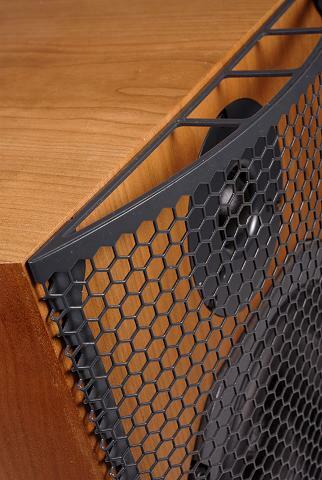 With proper amplification, you can listen to quite high levels without any hint of audible compression, while the woofer suspension seems to offer an unlimited displacement potential. This is why SCM19 can be used effectively with a digital room acoustics equalizer (and perform well, even for corrections located at very low-frequency bands) without significant problems. ATC's woofers are more than willing and able to do the much more "work" that this entails. Reproduction of the mid-frequency part of the audio spectrum is one of SCM19's most compelling performance attributes. Extremely lucid and revealing, without being tiresome, allows the listener to immerse into the music composition and to enjoy it. Voices are well articulated and both the feeling of presence and the timbre accuracy of the musical instruments are rendered with precision, resulting in effortless and pleasing listening sessions. 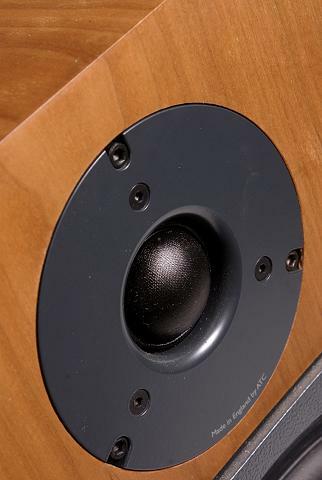 The midrange quality is probably the best indicator that the loudspeaker is capable of operating with low distortion at high sound levels, as even the slightest compression here is an easily perceived -and often tiresome- artifact, a situation which proved quite difficult to occur with the SCM19. Overall, to my opinion at least, SCM19's mid band behavior is representative of some fundamental design choices made by ATC in this product series, (they, also, are evident in the SCM40) based on a carefully balanced approach which includes accuracy and a sophisticated but barely noticeable character, resulting in a truly all-around loudspeaker. Regarding the high-frequency range, the SCM19 offers no surprises, as its performance is primarily determined by the ATC's SH25-76 tweeter. The loudspeaker offers a good feeling of bandwidth extension and air and, also, very good description of temporal characteristics for percussive sounds (very good attack and release times, and a slightly restrained body description, compared to the reference loudspeaker). These features entail good microdynamics and a transparent reproduction of the performance details. Harmonics are reach and quite compelling, but the loudspeaker does not deviate towards an atmospheric or overly "friendly" behavior, maintaining a well-balanced brightness. Last but not least, SCM19's stereo imaging is one of the best we have come across lately. The loudspeaker easily "disappears" from the listening room and gives way to a vivid and crisp soundstage with well focused individual sound sources, very good described musical instruments groups and a natural feeling of source movement and space, provided that all these are included in the recording in the first place. The listener receives a sense of closeness and the virtual stage features good depth and a well-defined width, all elements that are quite descriptive of the recording/mixing process. SCM19 is, doubtless, one of the top compact loudspeakers that can be bought at the moment, in this price range, especially if one looks for a tonically-accurate and good-in-dynamics design, which respects the program material. Under these circumstances, it is an excellent choice and, most likely, will be one of the ATC's all-time classics in the future ! Highly recommended.